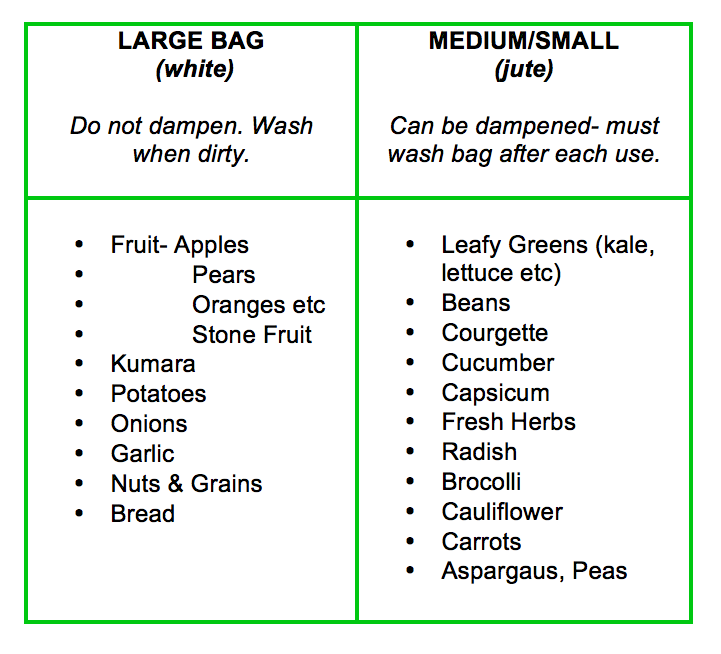 Majority of us are guilty of bagging our vegetables and fruit in thin plastics bags provided by the Supermarket. They can be convenient, but usually end up in the bin or as a storage bag for our produce. Aside from annoying Mother Nature, these bags speed up the spoiling process of your food. When produce is harvested it releases a gas called ethylene. This gas gets trapped in the plastic bags, as they don't allow air circulation. When the produce can no longer breathe, due to the gas, it begins to sweat. This is that dewiness that you find in the bag after a day or two and starts the spoiling process. When the gases are released from the bag it helps to keep fruit and vegetables from rotting prematurely. 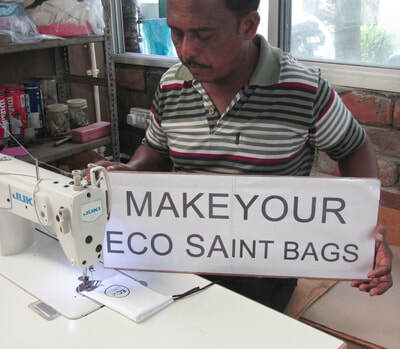 Not only do Eco Saint bags allow your produce to breathe, but they absorb any excess moisture that can be detrimental to freshness. On the flip-side, some produce needs this moisture, but not the gas. This will be all of your leafy greens, like spinach, and herbs. By dampening a jute bag, gases are still released while water vapor is held in. The moisture keeps the greens crisper and fresher longer. With multiple bags you can separate fruits and vegetables that are sensitive to ethylene gas, like strawberries, away from the ethylene producers (eg apples &pears) . Separation from each other will also help to slow down premature spoiling. Because I am made of cotton, I will shrink if washed in hot water or popped in the drier. To keep me the size I arrived it is best to cold wash, by hand or in the machine and leave to air dry. This should be done with every produce rotation, it is important to keep any remnants or strong odours from produce (eg onions & herbs) away from a new selection. This will keep your bags from moulding due to undisposed food. ​Most chain supermarkets don't allow you to subtract the tare weight when finalising produce and grains weight. However, in the off chance you require the weight of each bag, below are the approximate measurements in grams. 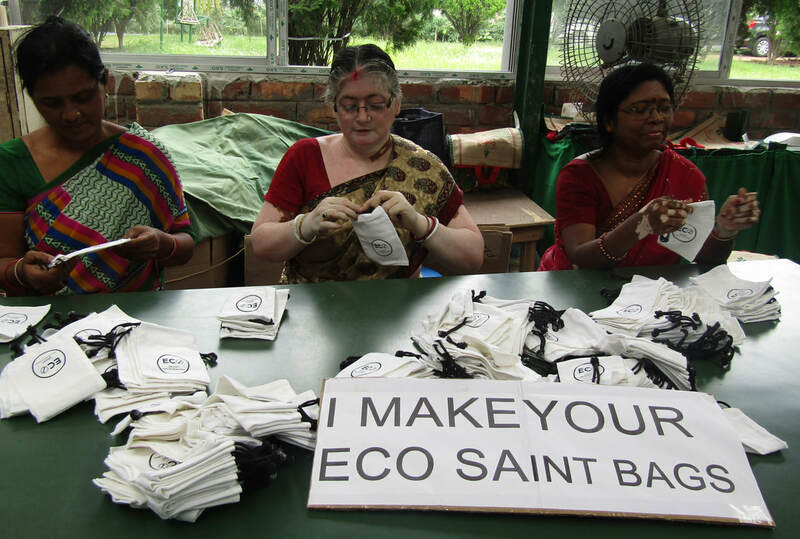 You will also find these on the card you receive with your Eco Saint purchase.